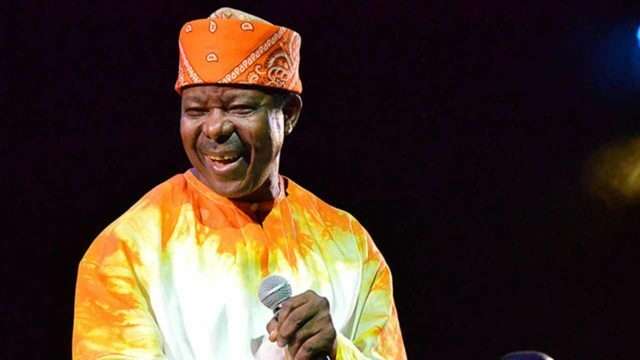 The king of juju music, King Sunny Ade (KSA), and other recognized scholars in the theater profession are to feature at the 31st International annual Conference of the Society of Nigeria Theatre Artists (SONTA) which will be hosted by the Federal University, Oye-Ekiti (FUOYE). According to Independent Newspaper, the conference which is themed ‘Theatre, Counter Terrorism and the Nigerian Space’ is meant to seek intellectual approach to the ongoing fight against insurgency in Nigeria. While briefing men of the press, Dr. Bifatife Adeseye, the head of the department of Theatre and Media Arts (TMA), said the event is meant to disseminate useful information through research works, to assist policy formulators on counter terrorism in the global community. Dr. Adeseye also disclosed that renowned scholars in the humanities like Prof. Femi Osofisan, Prof. Bode Sowande, Prof. Bakare Ojo-Rasaki and Prof. Matthew Umukoro would grace the event. Prof. Bakare Ojo-Rasaki, Dean, Postgraduate School, in his remark said; “theatre as you know is an art and every art form is used as a message carrier and is used as a means of disseminating information, that is where theatre comes in as in counter terrorism.